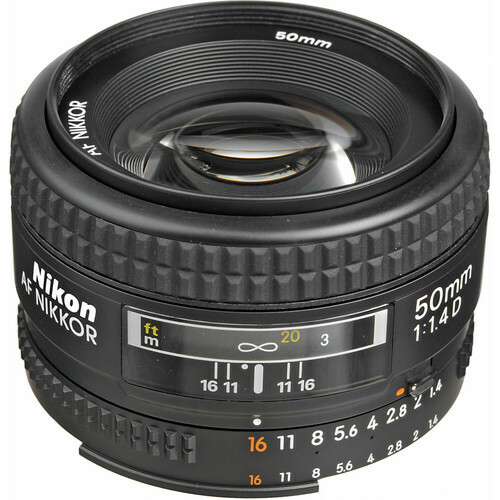 The 50mm standard f/1.4 D prime lens is a great addition to any photography tool kit. The fast f/1.4 aperture is ideally suitable for low light photography were capturing more light is the key to get a properly exposed picture. The standard focal length enables it to offer a perspective that the human eye normally sees. Nikon’s Super Integrated Coating (SIC) technology helps in reducing flares and ghosts and gives this lens unmatched performance at such wide open apertures. 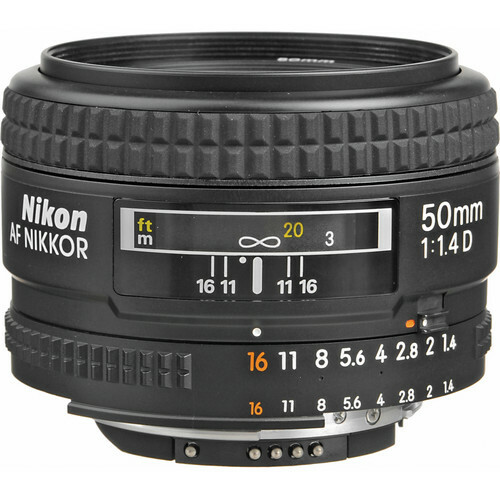 The f/1.4 aperture is also suitable for creating a soft bokeh when shooting portraits. The maximum angle of view of the lens on a FX format DSLR is 46° and that on a DX format DSLR is 31°30′. The maximum reproduction ratio of the lens is 0.15x. There are 7 lens elements arranged in 6 groups. Nikon has provided multi-coating in the lens to reduce flares and color fringing. There are 7 traditional straight blades making up the lens diaphragm. The smallest aperture if f/16. 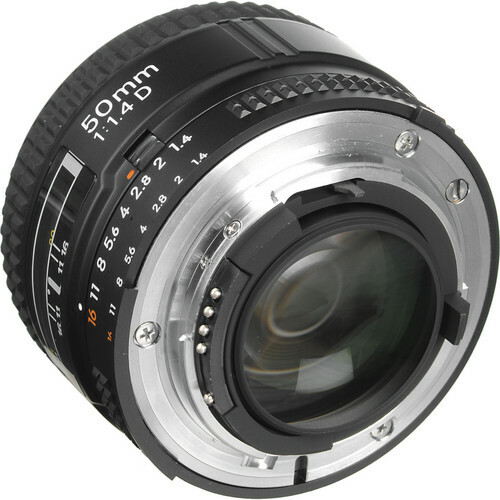 The minimum focusing distance of the lens is 1.5’ or 0.45 meter. The dimensions of the lens is 2.5×1.7” (diameter x length). Diameter x length(extension from lens mount) Appproximately 64.5 x 42.5 mm/2.5 x 1.7 in.